Alongside occasional design work recently, I have also been tasked with delivering and collecting some of the Crosville fleet in preparation for the 2017 season. This has meant a lot of solo mileage but fortunately the destinations have been familiar, so not too stressful. The first of these movements, a few weeks ago, saw me taking one of the Crosville hybrid deckers up to the Yorkshire premises of Cobus, the bus restorers. Last week I took another of the Wrightbus hybrid buses up to Cobus and, the following day, brought the first one back to Weston-super-Mare as its conversion to open top had been completed. As before, the journey was slow and tedious. Don’t get me wrong, the bus is dead easy to drive around town as it was originally used on the (mostly flat) streets of London. But put a gradient in front of it and, just like a tired donkey, it gets all moody and unresponsive. Normally, power comes from a Cummins diesel engine which charges the propulsion batteries but in Direct Energy mode (used for these long journeys) these batteries are switched out and the bus relies solely on the relatively small diesel engine. Propulsion still comes from the Siemens electric traction motor but it can only deliver the energy provided by the diesel engine. Which isn’t nearly enough on hills. Even on motorways, where gradients are usually gentle, our speed dropped away alarmingly. At times we were down to about 30mph! 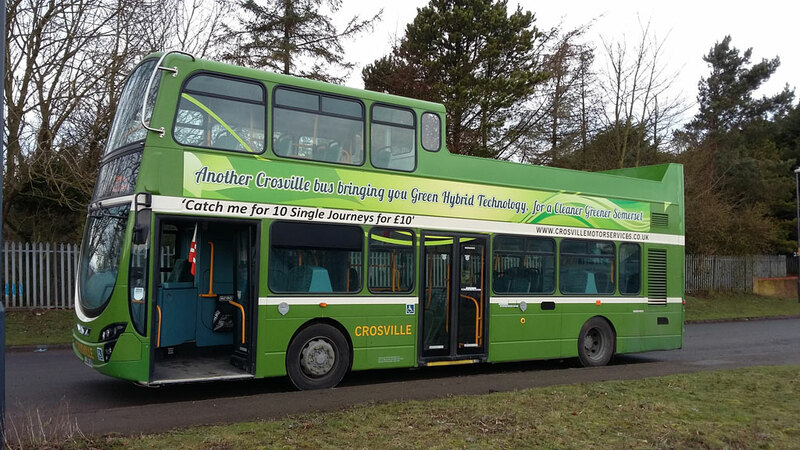 Another delivery duty for Crosville Motor Services recently took me on a return journey to Yorkshire, this time with a hybrid double deck bus. It’s a journey I’ve done several times before so I hardly used the printed route notes I always carry in the cab. 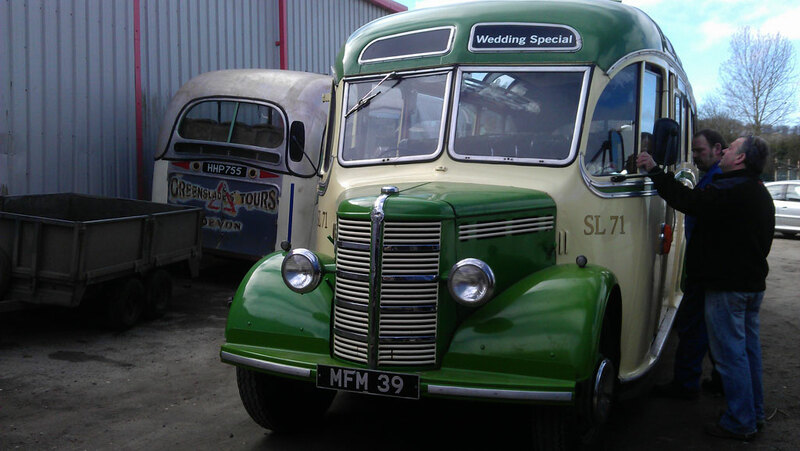 On previous journeys I’ve delivered a 1950 Bedford OB and a 1949 Bristol K6A to the restoration premises of Cobus in Yorkshire. For various operational reasons I was unable to leave the depot until after 10:00 but, not having driven one of these hybrid buses before, I was glad to be able to accompany another driver on a similar bus as we took it into Weston-super-Mare town centre to swap it with the bus I was to take north. Watching his every move, I soon learned that it was really no different to driving any other modern bus with an auto gearbox. If you haven’t already guessed, a hybrid bus uses a combination of battery power and energy from a small diesel engine for propulsion. Before I left the depot an engineer flipped a couple of switches behind a panel to put the bus into ‘DE’ (Direct Energy) Mode, which meant that the batteries would not be depleted on the long journey. The bus is built for Euro 6 economy on urban services but would require diesel power throughout the 260 mile trip to Hunmanby. 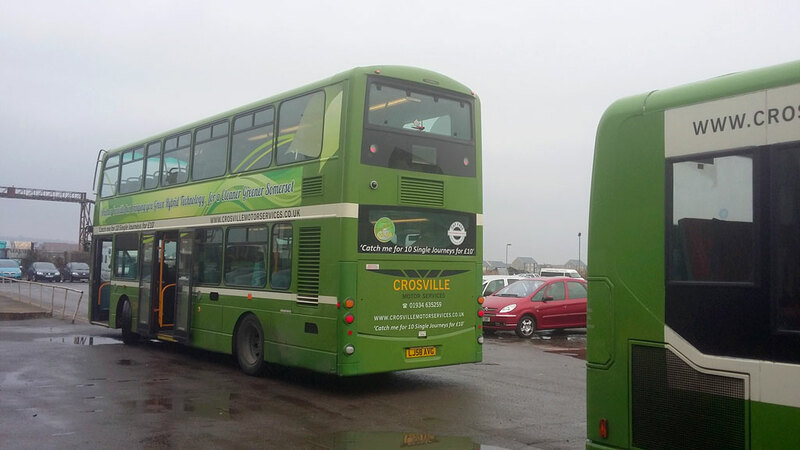 Last week I undertook another marathon journey to Yorkshire with a bus from the Crosville Motor Services heritage fleet. 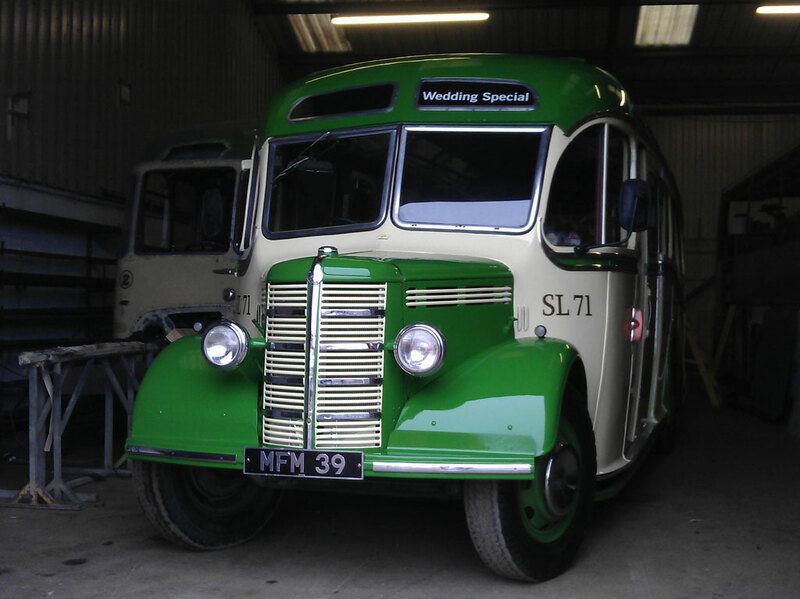 TD895 (HLJ44) is a 1949 Bristol K6A and she joined Crosville in 2013 but has not been used since then as it was felt she needed some considerable work done to bring her up to the standards required for regular use on private hire work. So I turned up bright and early on Monday last week to take the K up to Cobus, the bus and coach restorers in Yorkshire where I took Bedford OB MFM39 last year. In the days preceding my journey, Crosville staff had been busy preparing the bus for the long trek north. The interior had been gutted some time before so all the seat frames, poles and panels had been stowed carefully inside. The 6-cylinder AEC engine had been partially rebuilt some months previously so a new set of batteries were fitted and some road tests completed. The fuel tank had been topped up to the brim so all I needed to do was to carry out my walkaround checks. One curious aspect to this bus is that it has been kept in original condition, even down to the exterior lighting arrangements. While checking the brake lights I saw that there is a single, separate light near the offside tail lamp. When the indicator was checked I saw that there are no separate indicator lights – the tail lamp flashes and there are none at the front at all! Apparently, according to the Construction and Use Regulations, the bus is permitted to carry the lighting arrangements it was built with so it looks like I shall have to brush up on my hand signals just to be safe! Another aspect to this situation was to surface later in the journey but more on that later. Apart from a short journey from Weston seafront back to the depot last summer, I haven’t driven a Bristol K before so I was looking forward to this journey very much. It soon became clear that it’s very much like a Bristol L to drive. Not surprising, as they have much in common. However, the AEC engine sounds very different and is probably the same unit as fitted to London Transport RT buses. I’m sure someone more knowledgeable than me will be along shortly to correct me! I soon felt right at home in the cab as I drove out of Weston and towards the M5 motorway. Despite its age, I found everything to be remarkably tight and rattle-free. Someone has done quite a lot of mechanical work I suspect. I found myself comparing the experience with Hants & Dorset 1220 (Bristol FLF DEL893C) which rattled and shook much more than this K which is 16 years older. Owing to the partial engine rebuild I mentioned earlier I kept my speed under 35mph so that the engine could run-in adequately. I’m sure that, if opened up fully, she could probably do 40+. My progress, as you can imagine, felt painfully slow but I got used to it. I prepared myself to move into the hard shoulder if any artics left it late to pull out from behind me! As well as watching my mirrors like a hawk, I also watched the radiator filler cap in case she started to boil. I had no idea about the condition of the cooling system and how the bus would behave on a long journey but all was well. Apart from a few dribbles at the beginning (it had been filled to the brim) everything settled down nicely. The miles passed by slowly until lunchtime, when I stopped at Tamworth Services for a break. Several weeks ago I wrote a blog post about a long trip up to Yorkshire to deliver a Bedford OB coach to a restoration centre. I was also given the chance to bring the same vehicle back to Somerset again after it had been tidied up. Despite the distance, I decided to accept. Not least because if I start a job, I like to finish it! I followed Steve round to the garage where ‘Bosworth’ the Bedford stood, ready to go. The Cobus team had worked a miracle on the Duple Vista-bodied coach, which had externally looked a bit tired when I delivered it three weeks earlier. Now it stood looking for all the world as if it had just been built! The patchwork-effect Tilling livery, previously several shades of cream and green, was gone and in its place was a showroom-finish paint job that left me awestruck. Steve proudly showed me the aluminium trim which had been polished and mounted on rubber strips. New glazing rubbers had been fitted around the back windows and all the dinks in the panels had been levelled and filled. They had done a top job, right down to the finely signwritten legal lettering. I’m not known for running marathons but this week’s epic trip up to Yorkshire with ‘Bosworth’ the Bedford certainly felt like one. 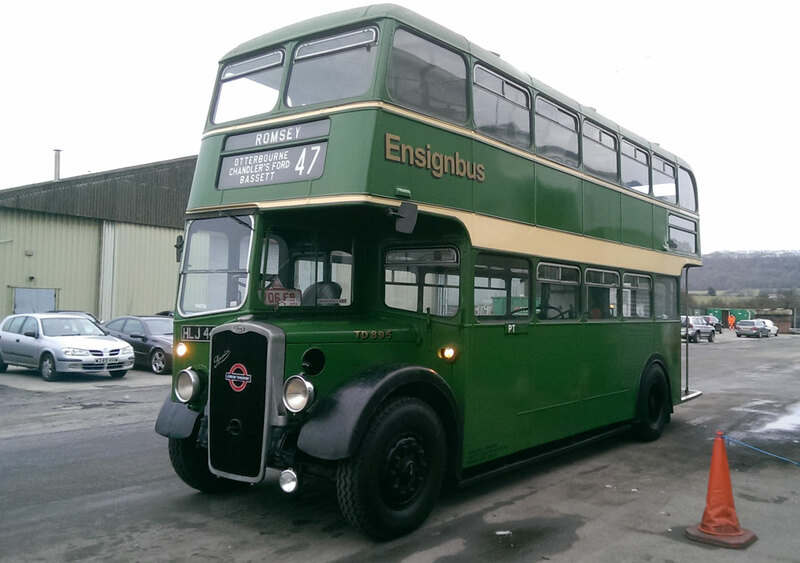 I was offered the chance to drive Crosville SL71 (MFM39) from the present day Crosville garage in Weston-super-Mare up to Cobus, whose restoration premises are near Bridlington, Yorkshire. How could I refuse? The round trip would take 2 days so I packed a toothbrush and set off early on Monday. I found the Bedford OB, which I had driven on wedding duties a couple of times before, parked up in the garage along with the rest of the heritage fleet. Unfortunately one of them, a Hants & Dorset FLF, was blocking the OB in so I climbed into the FLF’s cab to move it. Even more unfortunately it wouldn’t start. In fact there was no electrical power at all, the batteries having been run flat. Anyway, it took three of us leaning heavily on the front cowl to move it out of the way. With a clear exit now, I drove the OB out of the garage where I completed my checks. The first stop of course was the filling station for petrol. I didn’t know how far I would get before needing to top up again but it was essential to leave with a full tank. I had taken the precaution of putting a handy piece of metal in the OB’s boot with which to dip the tank on the journey so I could see how much fuel was being used. It was good to be driving the old girl (or is ‘Bosworth’ a boy?) again. I suppose it’s a bit like getting re-acquainted with an aged maiden aunt. The OB is a lot older than me and needs to be treated with plenty of respect! Together we headed out of town and onto the northbound M5.